Heavy Snow will push east out of the Shenandoah Valley this morning into the Metropolitan Area between 11AM and 2PM. Snow will fall heavily at times with snowfall rates of one inch per hour at times. Roads will become snow-covered with treacherous travel. Snow will eventually mix with sleet this evening before changing over to Freezing rain during the overnight hours. 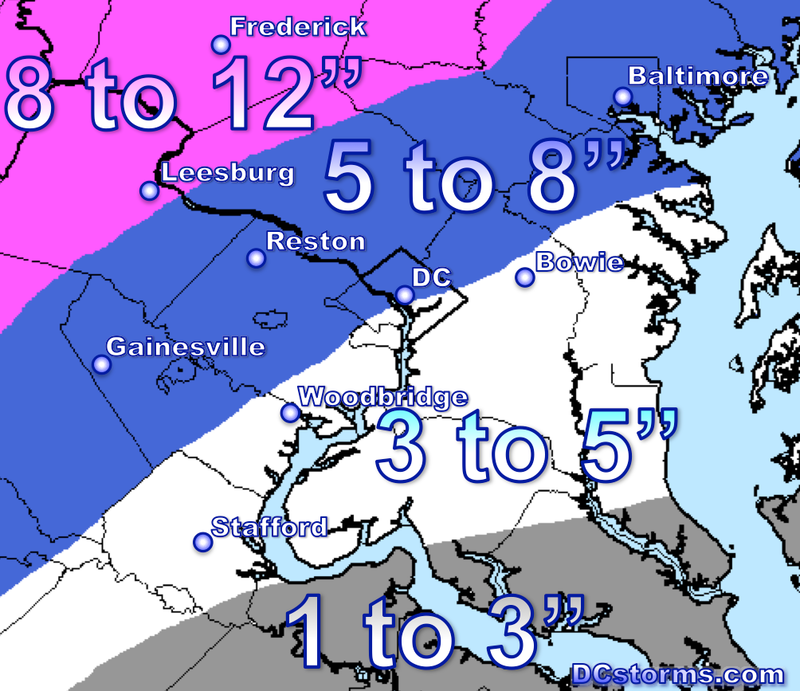 This forecast is difficult, subject to change (snowfall amounts could go way up!! )… stay tuned to the National Weather Service as they may even have to pull Winter Storm Warnings further east into the Metropolitan Area. 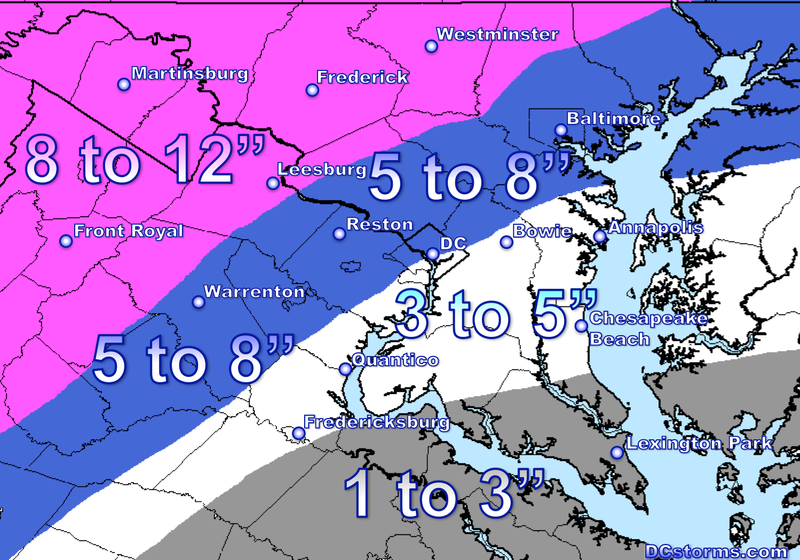 My own personal opinion is that all of Fairfax County should get at least 5″ of snow with this… I could be wrong, but 5″ meets criteria for a Winter Storm Warning. I’m surprised that the Winter Weather Advisories are still in place across southern Fauquier, Prince William and Fairfax counties ….we shall see. I was wondering why the NWS had the major snow accumulations stopping at the mountains. It’s coming down pretty hard where I’m at in Prince William County. Thanks, Tim; glad to be able to sit this one out at home–especially with freezing rain; thank God for the weekend to sit inside and watch Him display His varied power through weather.